This Easy Pumpkin Bread Recipe is made in just one bowl and topped with a sweet cinnamon glaze for added flavor. 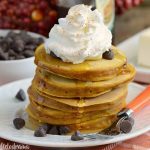 It’s a delicious way to celebrate fall! This is the absolute best pumpkin bread recipe right here. It’s packed with pumpkin, lightly spiced and slightly sweet. Plus, it’s topped with a sweet cinnamon glaze for a taste that’s nothing short of amazing. Of course, I’m biased. I admit it. But this recipe for pumpkin bread is something my daughter and I worked on, and since she handled the baking on her own, I’m definitely going to love it! 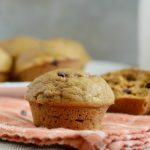 We basically looked to our favorite one bowl pumpkin muffins and quick zucchini bread recipe for inspiration. After a few test runs and several pounds later, we knew this pumpkin bread was a definite winner! 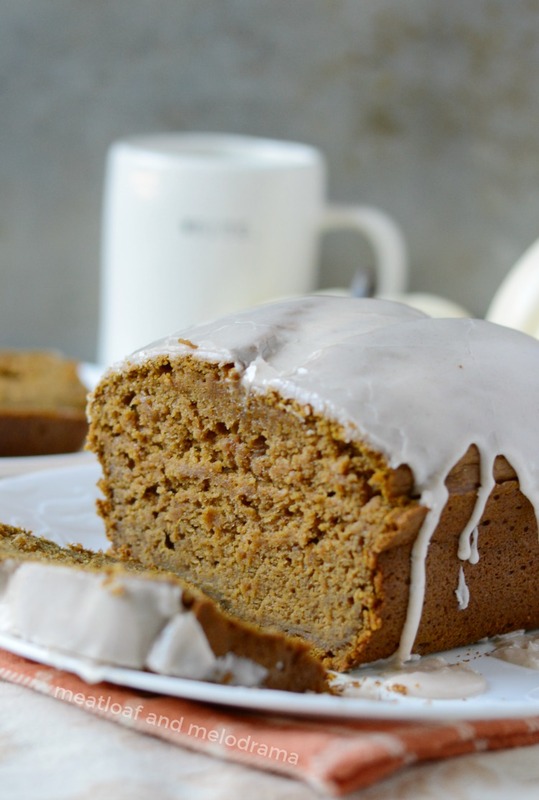 Proud mama moments aside, you can’t go wrong with this easy one bowl pumpkin bread recipe. It’s not exactly a healthy pumpkin bread recipe, but it’s homemade, which makes it healthy enough for me! 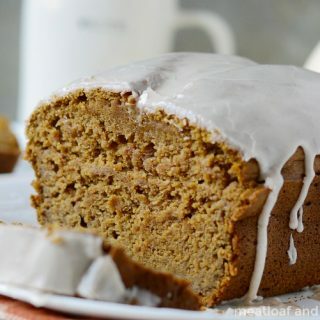 So if you’re looking for an easy, moist pumpkin bread recipe that you can make in one bowl, this is the recipe for you! 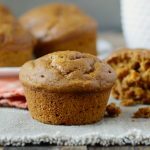 Not only is this pumpkin bread simple and easy to make, but it also freezes well, which means you can have a taste of pumpkin bread whenever you want! You know who you are. This pumpkin bread recipe is made in just one bowl. Why wash more dishes if you don’t need to?! Start by adding the eggs to a mixing bowl, beating them slightly, and then add your dry ingredients. Stir them lightly. 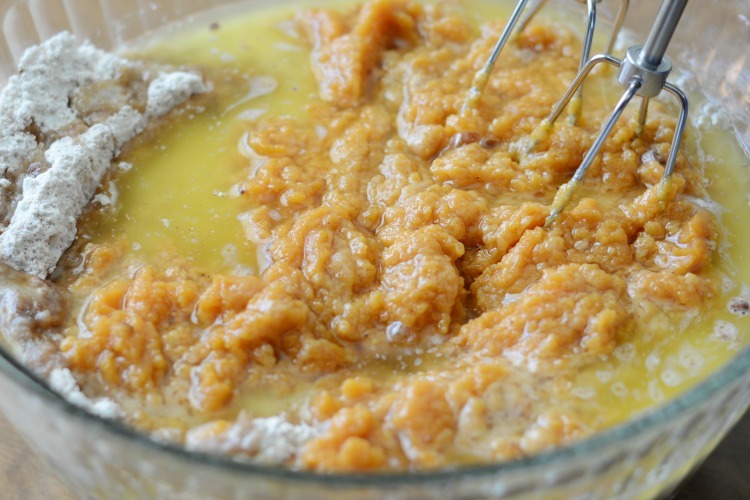 Then, add your wet ingredients, and beat with a hand mixer until the batter is smooth and well combined. Easy peasy, quick and easy! Pour the pumpkin bread batter into a greased loaf pan, and smooth the top with a knife or spatula until it’s nice and even. 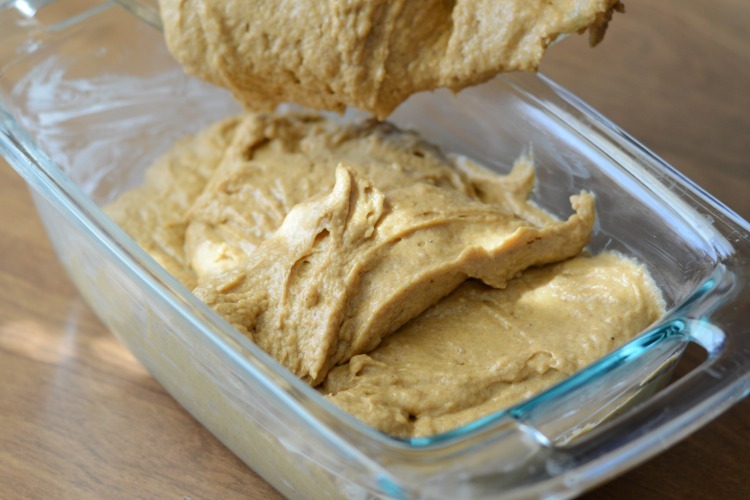 This recipe for pumpkin bread makes enough batter to fill one 1.5 – quart loaf pan. If you have smaller pans, you can divide the batter. When the pumpkin bread is done, you can eat it in it’s pure, natural state. Or, you can whip up a super easy cinnamon glaze to pour over the top. This is optional, but very highly recommended — which really means don’t skip it! This Easy Pumpkin Bread Recipe is made in just one bowl and topped with a sweet cinnamon glaze for added flavor. 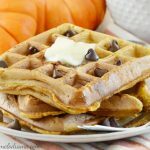 It's a delicious way to celebrate fall! 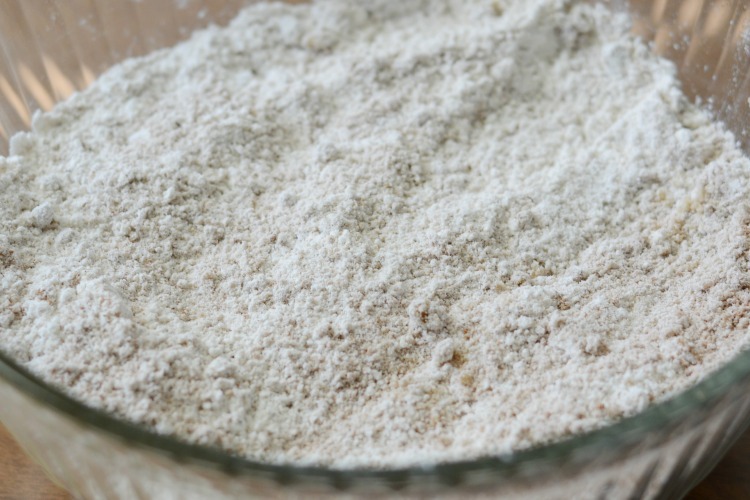 Add all of the dry ingredients in the same mixing bowl and lightly stir together with a fork. I hope you enjoy this Easy Pumpkin Bread Recipe! Hi Dee….! 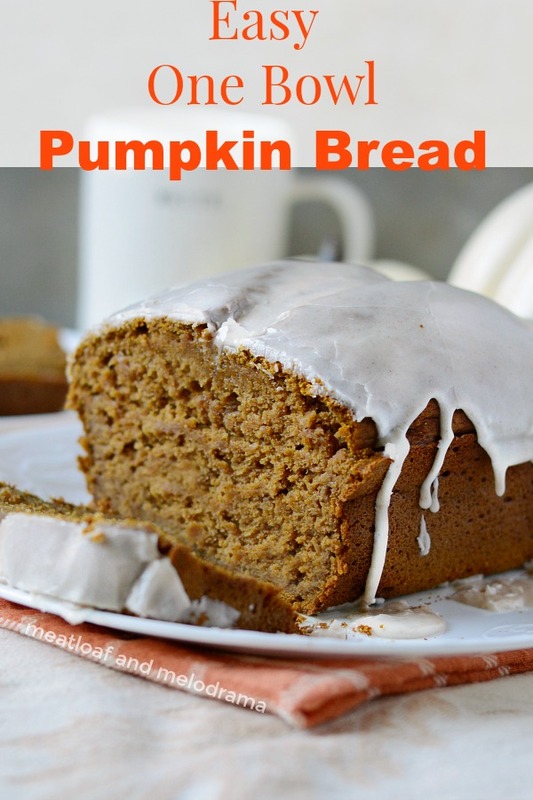 l love pumpkin and this bread is too yummy & more delicious, and am so glad to read your post…Thanks for sharing…! I love the texture of this pumpkin bread! So perfect for my busy mornings! Amazing! Adding to my list of must makes this season, such a great treat! Wow, this bread is so beautiful! You make it sound so easy! Can’t wait to try this one. I like this! Thank you for a great recipe! That glaze on top looks delicious! YUM! I love the frosting on this – yum! 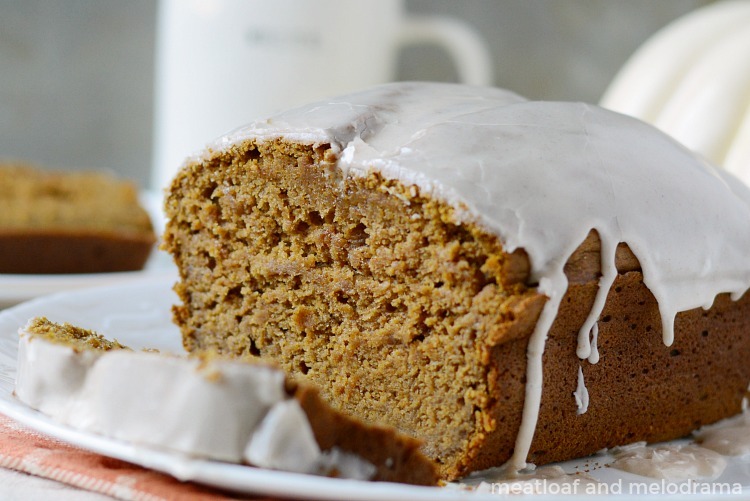 Your Pumpkin Bread looks so moist and delicious! Thanks so much for sharing with us at Full Plate Thursday and have a great week!